Boys Junior Varsity Soccer, Boys Varsity Soccer · Jun 12 Thank you for the memories!!! Although the CHS boys soccer team fell just short in the VHSL 4A State Championship, they made us extremely proud. The team finished with a 20-2 record and were Jefferson District Champions, Conference 23 Champions, Region 4-A West Runner-up, VHSL Group 4A Runner-up. 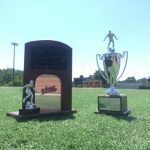 the Charlottesville High School Boys Soccer team defeated Chancellor High School in Friday’s State Semi-Final to advance to Saturday’s State Championship Match vs the Kettle Run Cougars!!! 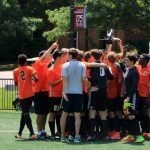 Join us at Roanoke College’s Donald J Kerr Stadium as this afternoon @ 2:45pm as we will play for it all……..